Burlington Regal Traditional toilets are just a little bit higher than a regular toilet. The height of a Regal Toilet pan is 48cm, designed to help taller or older people. All Burlington's toilets use nanoglaze in the bowls - a coating that makes it far easier to clean. 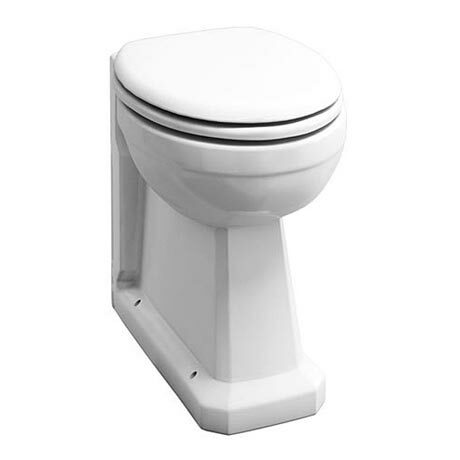 It is made from vitreous china making it strong and robust, allowing it to withstand the consistent use of the bathroom throughout every day routine. It is the perfect complement to any traditional bathroom, offering the perfect balance between style and function.